Recently, I was part of a conversation where we were invited to reflect on where we see God in our own lives. The room fell silent. It seemed a relatively straight forward question. Soon someone responded with the simple answer of the gentle smiles of people they know or the friendship and support of those around them. Next, another replied that they saw God in their life in the beauty of the changing colours of the autumn leaves. Now, these responses are not to be sneezed at. God is most certainly present here. I have preached before on the young man who was going to commit suicide because no one cared about him and the simple smile of a complete stranger turned his whole life around. God is most certainly, absolutely, irrefutably present in the beauty of creation. But, I couldn’t help but think there must be more than this. God is bigger than any of us imagine, surely God is up to bigger things in the world and in our lives. For some people the search for God or experiences of Spirit begins with uncertainty and ends with confusion. It doesn’t need to be so. Of course we must admit one can never fully know God, and some theologians declare that God is unknowable – in fact some of my favourite contemporary and ancient theologians. It might be so but there are aspects of Spirit that we can know and perceive at work in our lives. F W Boreham tells how he had a five-minute wait at a railway junction in Tasmania. He was traveling on a south-bound train and was stretching his legs when at that very moment, the north-bound express arrived. A young woman that he knew hopped off and she looked distressed. Boreham hurried along the carriages looking high and low for the elusive Saratoga. He sincerely hoped that Effie would find it for he had no idea as to what a Saratoga was! It sounded like a special breed of dog, so he poked among the bags hoping that the little beast would emerge. But then again, it might be an article of jewelry, so he scrutinized the floors of the carriages in the frantic hope that he might detect a sudden glitter. But then, he thought a Saratoga might be some mysterious item of a woman’s clothing, and it was because of this that he’d refrained from asking Effie for the exact particulars of the missing treasure. I wonder whether this is what happened when the room full of faithful Christians were asked about seeing God in our own lives. It is awfully hard to name something when we don’t know what we are looking for. 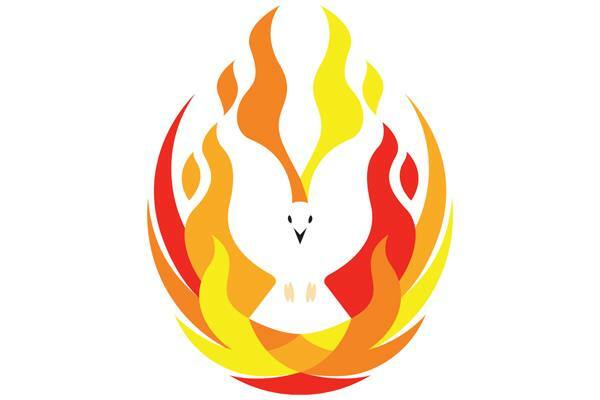 Today is Pentecost Sunday. The day we celebrate all things Spirit. If we are going to notice God at work in our lives this is a pretty good place to start. So today, we are going to explore how Spirit works in the hopes that we might be able to name where God is at work in our lives. I want you to remember 4 things. According to research the average person can remember 7 + or – 2 things, so we should be alright with 4. If 4 is a stretch look at your neighbor and ask them to remember 2. At the end I am going to invite you to talk to your neighbor about these 4 ways that Spirit works and then how that relates to your own life. Here comes number one – Creativity. Scripture talks about Spirit all over the place. Right from the very beginning. “In the beginning God created the heaven and the earth.And the earth was without form, and void; and darkness was upon the face of the deep. And the Spirit of God moved upon the face of the waters.” From there, the hovering presence of Spirit draws out, inspires and forms creation. Again and again, Spirit is the sourceof creation, inspirerof creation and creativity. So one way we might look for God’s presence in our lives or the movement of Spirit is to consider where is there creativity, energy and new life.Here Spirit dwells. This is worth paying attention to. The first signpost that God is at work in our lives is the presence of creativity, energy and new life. Here comes number 2 – Wisdom.The book of proverbs includes a section about Lady Wisdom. She has been described as the personification of Wisdom. She stands on the street corner saying this is the way. Walk this road. In Proverbs there are actually two women. The first is Lady Wisdom while the second is a woman of temptation, somewhat of a seductress. She is sometimes politely called “Lady folly” but that is a bit kind. We are given these two ideas of living – one that leads to ways of helpful and healthy living for the individual and society, and a second path that leads to destruction and ultimately down fall for the one who takes that path. There are two kinds of wisdom presented to us in scripture. This is the first one – the simple one. The one that tells us to do what we know we really should do anyway. Act with kindness, be fair, work hard. My favourite proverb is “Go to the ant you lazy bones, learn from its ways and be wise”. The other kind of wisdom is the hidden wisdom or the corrective wisdom. It‘s writing such as the book of Job that tries to explain why simply following the right path doesn’t always end up where we think it should. The wisdom that deals with “why bad things happen to good people”. But back to Lady Wisdom – this kind of wisdom is when God seems to prompt us to do what we know we should. It is that internal voice that says, “choose the way that has integrity”, “you know you could have done that a bit differently”. This is the voice of Spirit, prompting us to choose our life paths wisely. This is a second signpost that God is at work in our lives – wisdom. It is paying attention to that voice that encourages us to live lives that are holy and have hearts that are true – to quote Andrew Dutney’s song about the presence of Spirit. The third way is kind of a hindsight is 20/20 way – it is fruitfulnessPaul’s letter to the Galatians tells us what Spirit produces. The fruits of the Spirit are “love, joy, peace, patience, kindness, generosity, faithfulness, gentleness, and self-control”. Where these things are present it is a signpost that Spirit dwells here. God is present. Fruitfulness – the outcomes of our actions tell us something about what was going on. It is why strategic thinkers like to analyse. It is why scientists like data. It is why we fill in surveys and it is why corporations ultimately want to know whether or not we bought something not just whether we like the ad. Looking at the outcomes tells us something about our lives. Paul is telling us that if Spirit is there expect to see love, joy, peace, patience, kindness, generosity, faithfulness, gentleness, and self-control. When we think about our own lives and about where God is present it might help us to consider where do I experience, give or notice love or joy, peace, patience, kindness, generosity, faithfulness, gentleness, and self-control? Here comes number 4 – Christlikeness – Spirit amplifies Jesus’ message. It all lines up with what Jesus has taught. Remember Jesus says to the disciples, I will send someone else to guide you and then breathes the Spirit on them. In our reading today, Spirit comes and rests on them and people understand the good news in new ways and in their own languages. Spirit has always helped people understand who Jesus was and is. In other words not just knowing the Bible stories but understanding what that means for faith in our own time and in our own culture. It’s like Spirit is an interpreter and an amplifier. So the fourth signpost that God is present in our lives is when what we are doing or who we are lines up with who Jesus was and is – Christlikeness. So take a moment to consider with someone near to you each of these 4 things and think about where God is present in your life. Wisdom– consider life paths that were wise and led to helpful and constructive living for ourselves and others. Pause to reflect with the person next to you and name where God is at work in our lives together. All those places that we have named in our own lives – in our society this is where the Spirit is present. If we are noticing God at work then the call to us is to get on board! Wherethere is creativity, new life and new energy – get on board! Where there is wisdom – where there is a path that has integrity and honesty, that leads to wholeness for us, for society and for all of creation – get on board! Where there are actions that lead to love, joy, peace, patience, kindness, generosity, faithfulness, gentleness, and self-control – get on board! Where there are things going on that line up with Jesus’ life and message for us today – get on board! This is not a sermon for listening to, it is a sermon to talk about. Share with each other, share with me, share with your friends and family where you see God in your life and in our life together. Celebrate together. God is here! Spirit is present! Let us share the good news so that we can all get on board with what God is up to in the world.